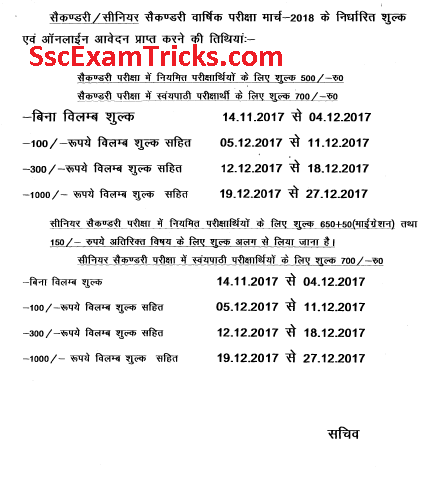 The breaking news is that Haryana Board of School Education has started submitting online application form for 10th (Secondary) / 12th (Senior Secondary) Classes from 14th November 2017 on official website www.bseh.gov.in. The notice for online registration has been uploaded on the official website which can be downloaded from the link given here. 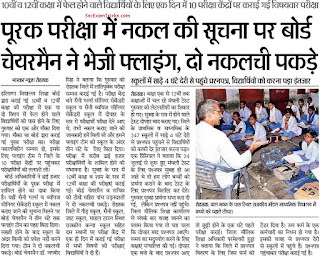 Huge numbers of candidates are waiting for their registration for Haryana Board School 10th/ 12th Class. Now their wait is over and registration link will be activated on 14th November 2017. The exam will be held in March 2018. The dates will be intimated online to the eligible candidates. No other information will be provided for the date of examination. Latest News (08.11.2017) – The breaking news is that the list of Candidates whose marks increased more than 10 Percent in Rechecking/Re-evaluation March 2017 has been uploaded. Send bank details (Bank name, account no, IFSC Code) on asrev@bseh.org.in for Refund. The good news is that Haryana Board has decided to give another chance to 10th/ 12th class candidates through re-checking and re-evaluation process which has been remain opened from 17th to 21st August 2017 with late fee Rs. 1000/- only. Those candidates who have assigned roll numbers started with 2017 & 3017 need not to apply/ registration because their re-appear exam will be scheduled in March 2018. The rest of the candidates can apply online/ register themselves on the direct link given here. The good news is that Haryana Board has declared 10th & 12th Class Re-appear/ Compartment/ Additional Result on today. The result can be downloaded by entering your name or roll number in the box. 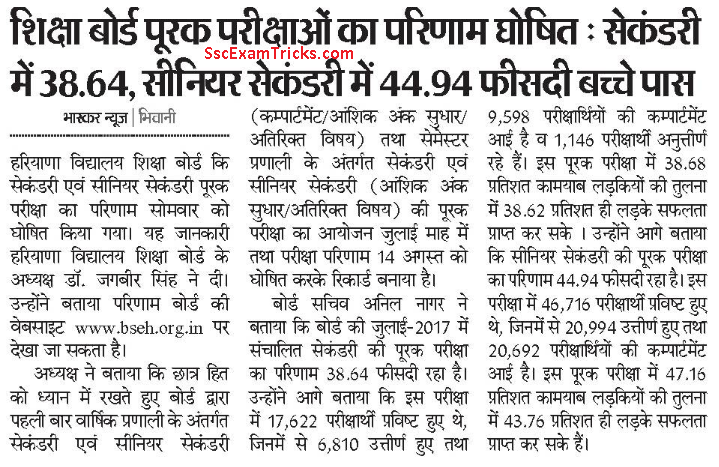 Earlier the exam was organized on 27th July 2017 in which about lakhs of candidates have appeared in this examination. Now the result has become available on official website. From the resource, the best news is that Haryana Board may declare the result of 10th & 12th Compartment/Improvement/Additional in August 2017. Earlier the exam was held on 27th July 2017 for both 10th & 12th Class. 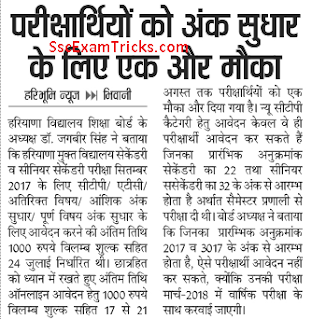 The news is that Haryana Board may announce the result within one month of HBSE 10th/12th Compartment/ Re-appear/ Improvement exam held on 27th July 2017. The result/marks may be available in the last week of August 2017. 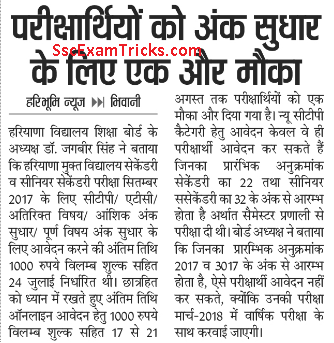 The good news is that HBSE has made all preparation for conducting Haryana Board 10th/12th Class exam which has been scheduled on 27th July 2017. 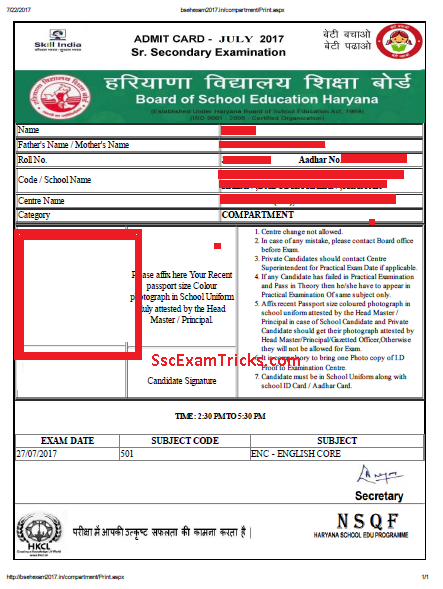 Many candidates have got confused that Haryana Board has uploaded admit card for HBSE 10th / 12th Haryana Open School. 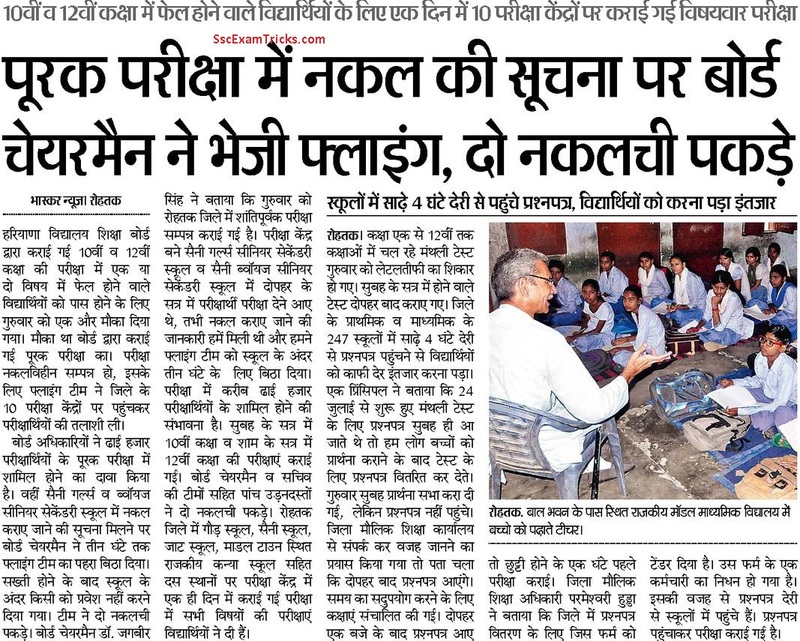 But it has been cleared that no admit card has been uploaded for Haryana Open School for candidates have more than one subject re-appear/ compartment in subjects. These admit card has been released for those candidates who have re-appear in one subject only (even in semester system). So don't confuse with rumors. The HOS 10th/12th Class Compartment/Improvement Exam may be held in September/ October 2017 and their admit card will be available about one or two weeks before the exam date. 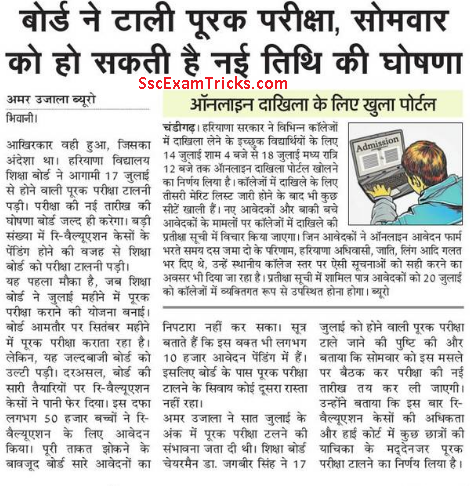 No exam date has been announced for Haryana HOS 10th/12th Class Compartment/ Improvement So Keep calm and wait for a little more for HOS Admit card. The good news is that Haryana Board has uploaded online admit card for HBSE 10th/ 12th Reappear/ Compartment/ improvement on official website. You can download your admit card by giving your previous roll number, name, father name, mother name & adhar card. 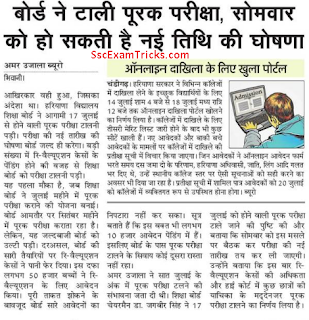 Haryana board has announced the date of examination for both 10th & 12th Class. The exam will be organized on 27th July 2017 for All subjects. The online admit card will be available around a week before the examination. 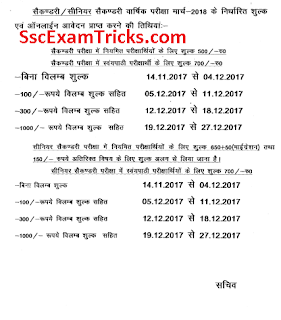 The latest news is that Haryana Board has cancel/extended the exam date of 10th/12th Class which has been scheduled on 17th July 2017 for improvement/ compartment candidates. 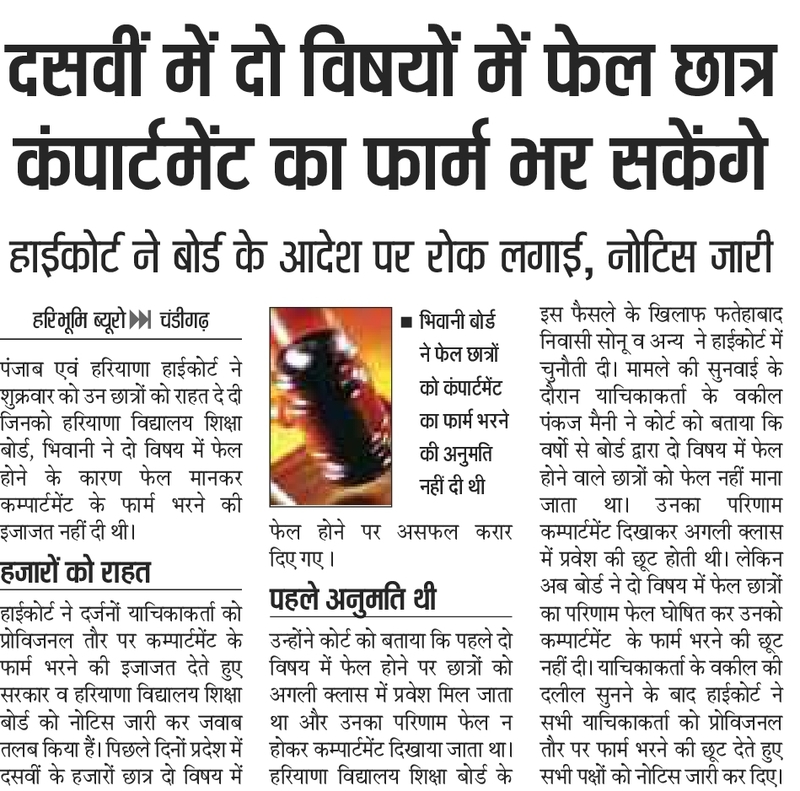 This decision has been taken due to the reason of pending list/case result of re-evaluation/ re-checking about 50,000 candidates. The new exam date will be announced soon. The good news is that Haryana Board may schedule 10th/12th Compartment/ Improvement examination on 16th/17th July 2017 at various centres across the state. Huge numbers of candidates are waiting for their online admit card/roll number. These admit card is estimated to be uploaded about 2-3 days before the exam date. They need their registration form number while downloading it from the official website. The rechecking result might be declared within a period of one month after the last of date of online applications. It may be available in July 2017 on official website. The candidates can check their status regularly for measuring the evaluation/result of HBSE 10th/12th Rechecking result. Don't hurry up and keep calm. Just wait for the announcement of result. Don't hesitate to ask any question to us regarding HBSE Secondary/Sr secondary rechecking result 2017. Today, Haryana Board 10th re-checking/re-evaluation result is shown as 'Under Process' same as given in the image (below). HBSE has announced a good news to those students who have failed in two subjects. 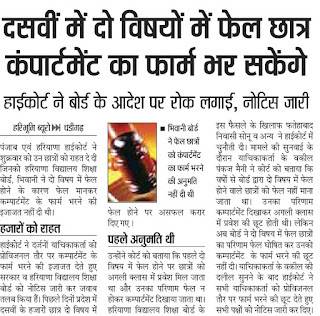 High court has directed to HBSE to fill 10th Compartment Form up to two subjects. The same will be implemented and link will be activated on official website.